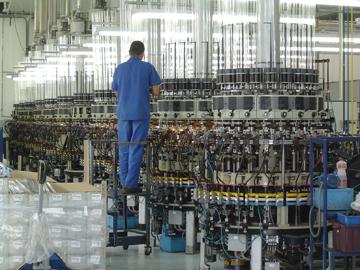 The 20 station vial forming machine, built with continuous rotation according to OCMI tradition and with a maximum output around 3000 pcs/hr for 2R vials, is now equipped with newly developed pre-forming and main forming stations where plungers and rollers movement is driven by servo-motors. The main purpose is to assure the best precision and quality of the mouth forming process and make the operator’s job easier with the possibility to set the main parameters for tools motion from a touch-screen integrated in the machine cabinet. The main parameters to be set from the machine cabinet are the initial and final positions of rollers and plungers, the entry/exit acceleration of the rollers and plungers and entry speed of plungers. The vial forming station of the FLA20/S machine includes two independent stations equipped with one roughing roller each for the initial preparation of the vial shoulders. The main forming operation is then performed by the two new servo-controlled stations equipped with two rollers and one plunger. The same development with servo-control of tooling stations can be applied to OCMI droppers and dental cartridge forming machines. The vial forming machine introduced during OCMI Open House of April 2019 will be equipped with camera inspection system OPTIVIAL for dimensional control, recently developed to increase the number of vial pictures taken in order to improve the precision of average dimensional values. 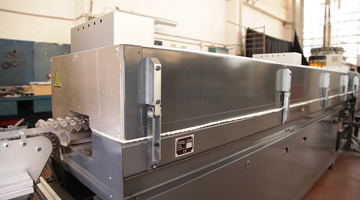 The FLA20/S machine will be connected with the after-forming line LF520, manufactured by Moderne Mecanique, part of the OCMI-OTG Group. The line will be equipped with cooling fans, a calibration section including control of total length and internal mouth diameter and a printing station. The calibration station is equipped with new generation electronic gauges managed by a new dedicated panel. 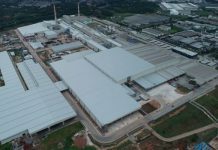 The line presented in April will be equipped with standard electrical annealing lehr with vials conveying through racks following the same concept of ampoule oven. This lehr can process vials with minimum total lengths of 35 millimetres and assures an absolute removal of strains from glass surface thanks to the optimal distribution of heating elements along the three oven sections. The alternative new version of vial annealing lehr developed in OCMI’s Italian headquarters is loaded by a feeding manipulator with six mechanical grippers picking the vials from a cooling conveyor and placing them in horizontal position on drilled metal trays. The pick-place manipulator can reduce the total length of vials to be processed since the grippers are adjustable according to vial height. The LF520 line will be working with a traditional packing section with a mechanical vial pushing device inside the box. The optional equipment Roboglass (automatic tube loader) and PM-V (automatic packing machine) won’t be available during OCMI Open House, but any type of technical documentation and videos will be offered on request for guests. 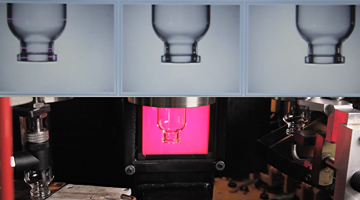 From April 1, 2019, OCMI will welcome all worldwide visitors potentially interested in new developments applied to tubular glass vials processing technologies.